Either top White House adviser Kellyanne Conway is becoming a kinder and gentler version of herself or CNN’s Jake Tapper just handed Conway her hat. 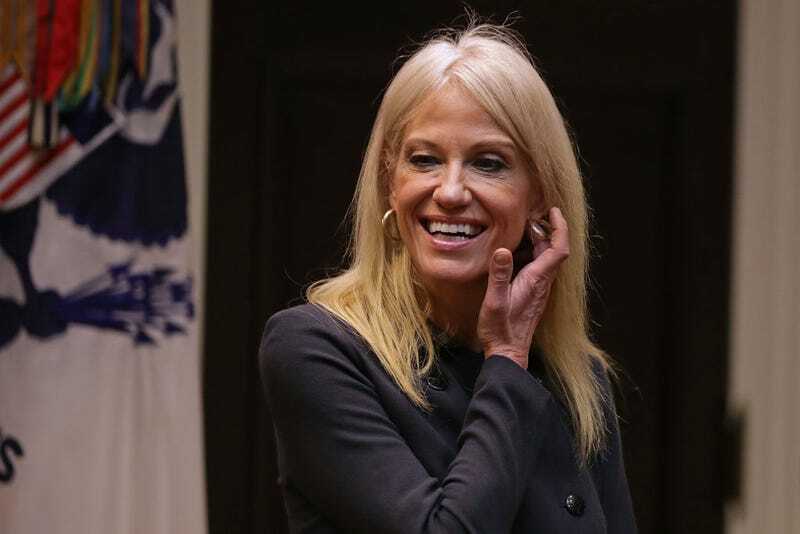 Appearing on the news channel that President Donald Trump officially considers “fake news,” Conway apologized and expressed remorse for citing a phony massacre and acknowledged that not all mainstream media are fake. “I don’t think CNN is ‘fake news.’ I think there are some reports everywhere, in print, on TV, on radio, in conversation, that are not well-researched and are sometimes based on falsehoods,” Conway said. At one point it seemed as if Conway even acknowledged that the president was a liar, noting that while he does spread falsehoods, he still does good. “Are they [falsehoods] more important than the many things that he says that are true that are making a difference in people’s lives?” she said. Tapper held Conway’s feet to the flame the entire interview. Tapper then asked Conway about a list of tragedies from around the globe that Trump claimed the media didn’t cover. Tapper showed receipts, including an eight-box screen showing CNN in the locations listed by the White House, to prove that CNN had indeed been there. When the subject moved to Conway’s admonishment of the media for not covering the “Bowling Green Massacre,” which is totally made up and never happened, Conway fell on her sword.